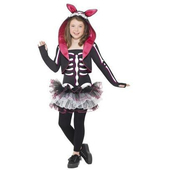 Tween Fluffy Bunny costume includes a pink and white dress with tutu style skirt and polka dots. The dress also features a pink bow and bunny tail to the back. Also inlcuded is a pair of pink and white leg warmers. To complete this cute look a ear headband is also included. 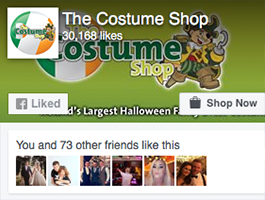 Fantastic service - ordered costume Friday afternoon and delivered on Saturday morning, wasn't expecting it until the following Wednesday. Costume is cute - not sure it's worth the €32.99 as some of the stitching on the ruffle part of the dress wasn't great but nothing worth complaining about.